The face of librarianship is constantly changing as new technologies are introduced and current ones change. Keep your skills current and sharp with these offerings. A continuing examination of how we determine subject headings for materials in our collection? How do we determine subject headings for materials in our collection? The series on assigning subject headings for catalogues continues. An organization for evangelical librarians and publishes the print and online versions of the Christian Periodical Index. Fosters access to information, learning, teaching and research relating to Jews, Judaism, the Jewish experience and Israel. Information on tools and techniques for this essential task for librarians and others who care for books. Using simple materials you can perform basic book mending in your library. How do you use news programs, documentaries, and other great educational programing without worrying about copyright violation or fast forwarding through commercials? The answer is Cable in Classroom. What are our expectations for assimilation in the United States? Librarians often act as the gatekeepers of copyright compliance. What can and cannot be used in audio and video materials? Many librarian job descriptions include the phrase "must have excellent customer service skills." But, what does that mean exactly? Take time to look at developing or re-look at your current reference policy. Does the policy serve the patron, the staff, or does it create a balance? Here are some issues to consider. Adding catalog records can be time consuming and costly. The Library of Congress provides a free option from their online catalog. With 20 in every 100 people having some form of dyslexia libraries need to address how to best serve this patron group. How are the World Wide Web and non-traditional books changing the profession of librarianship? What impact does the Internet have on education? Does it enhance it or detract from it? When students choose their reading materials positive things happen. Major universities in the United States are now offering courses online--for free. You too can take a class from Harvard, Yale, or MIT! Stories for children should be of all kinds—folktales, funny, exciting, astounding stories, and tales of every day life. Is J.K. Rowling and Harry Potter trying to convert children to Satanism? News statement regarding the Vatican´s opinion of Harry Potter and J.K. Rowling. The partnership between home schooling families and public libraries can be vibrant and beneficial. How should libraries deal with materials that address homosexuality? What is a librarian to do when the dreaded book challenge happens? Creates, captures, and disseminates information to achieve a more productive and sustainable use of the world´s land, water, and renewable natural resources. Librarians are often responsible for selecting a phone service for their library. Let´s examine my experience with one. Each profession has their own unique terms. Learn libraryspeak with our dictionary. A glossary of common terms used in libraries. What is the role of the Librarian in meeting the needs of students who attend alternative schools? The Library Sciences book club picks a selection to read and discuss. The books can either be fiction or nonfiction. Suggestions are always welcome. If your library will be circulating videos or DVDs you need to plan an appropriate policy. LISNews is a collaborative weblog [aka blog] devoted to current events and news in the world of Library and Information Science. A nonprofit, educational organization with more than 4,000 health sciences information professional members and partners worldwide. How multiculturalism can enhance our lives. Can multiculturalism coexist with freedom of speech? How do books on tape fit into our society? These sites are all related to on-line learning. Many libraries are ridding themselves of paper reference resources and going with electronic ones. At the same time, libraries are strapped for cash and closing to make ends meet. Does paying for electronic reference make sense in this economy? The Praxis test is required in many states for those wishing to serve as school librarians. What can you expect from the test? Being a librarian can be a lonely profession. Joining professional organizations help connect you to other librarians who understand your goals and vision. These selected articles provide a good over view on issues and concerns about selecting homosexual related materials for your library. The face of librarianship has changed over time. It is no longer just about books. Here are few things to consider if you are thinking about joining this rewarding profession. This quiz tests your knowledge of subject headings, based upon three articles here at BellaOnline. Encouraging reading in the library and through library activities may seem obvious. In the desire to be technologically "with it" too many libraries have set reading aside. How do librarians assist in the transition and implementation of whole language instruction? We want young people to read good literature. More importantly, we want young people to read! This may mean tossing aside our ideas of what children and teens should be reading. An example of a controversial book and its challenges. What is whole language? Why is there such conflict? 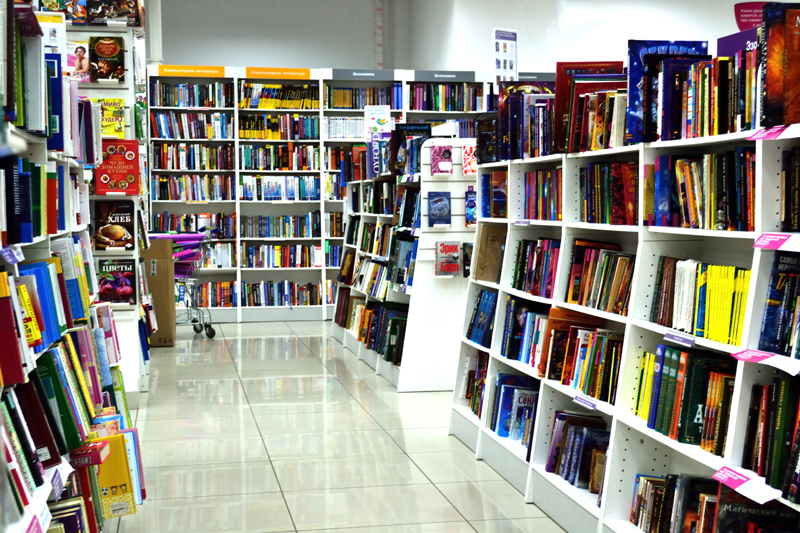 With so many educational titles available how do you decide what to buy on a limited budget? Here are practical ideas to assist you in your selection. Are you considering the use of plastic bags for your library books? Here are ideas and resources. What Does a Librarian Do All Day? Discard your vision of hair buns and lace collars. Today’s school librarian is high tech and highly active. Are your patrons searching for something to read after they complete the Twilight Series? I created a handy bookmark that lists books readers can explore. How will audio and e-books effect reading and print books? What does the advent of these books mean to the library profession? Find out how to make one of your most time consuming tasks easier.